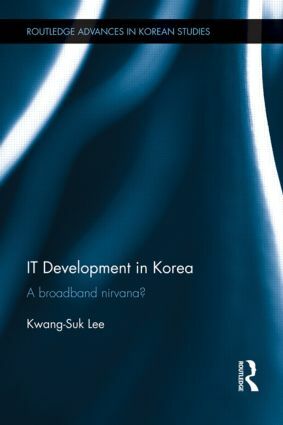 This book investigates the contextual factors that led to Korean society becoming ‘broadband heaven’ — the most wired nation in the world — by scrutinizing the historical contexts surrounding the Korean Information Infrastructure (KII) project (1995–2005), which aimed to establish a nationwide high-speed backbone network, as well as its later evolution, which involved redesigning the public infrastructure. The book details the hidden mechanisms and the real elements of building the ‘broadband heaven’: the global constraints conditioning its telecom policies, the dense state–capital linkages, and the bureaucratic desire for social control. It draws on the state-in-society approach to analyze the deformations caused by the symbiosis between the state and big business in implementing the rosy vision of the broadband network. This book provides insights into how to formulate future telecom policies along much more democratically participatory lines while restraining the overwhelming power of the telecom oligopolies and conglomerates. It stands alone as a comprehensive study of the recent East Asian model of IT development, written specifically to examine Korea’s socio-historical mechanisms for promoting physical speed and broadband mobility. This book will be important reading to anyone interested in Korean Studies, Information Technology and I.T. Development. Kwan-Suk Lee is an assistant professor in the Graduate School of Public Policy and Information Technology at Seoul National University of Science and Technology, Seoul, South Korea; and Honorary Visiting Fellow at the University of Wollongong, Australia.